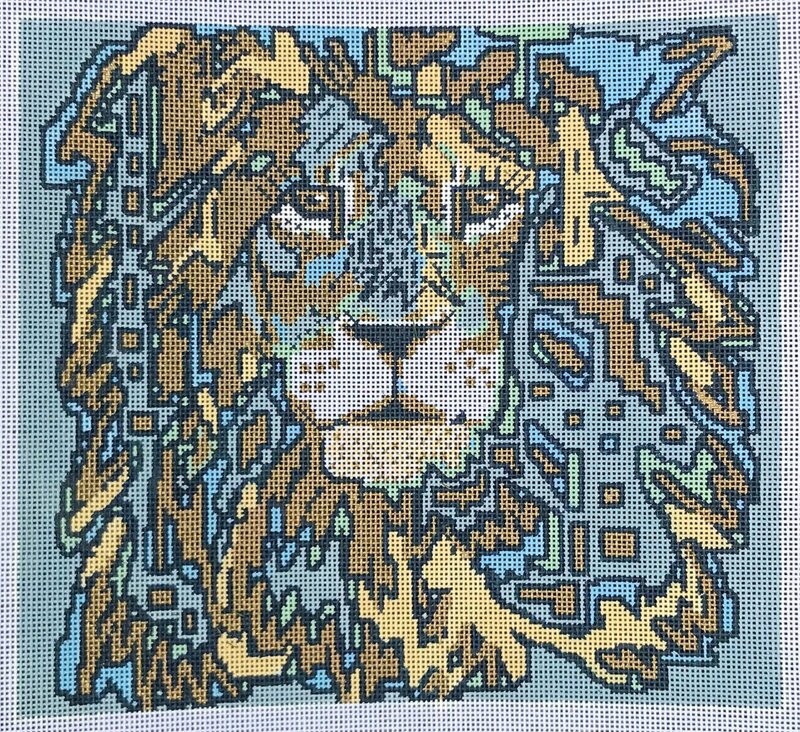 Cecil The Lion abstract needlepoint canvas from the design house of Thorn Alexander is a contemporary safari needlepoint. The design area measures 10.5" x 11.5" and is hand-painted onto 13 mesh mono canvas. Each stitch is painted a specific color to make this the perfect choice of an easy needlepoint for a beginner. We can ship canvas-only or with your choice of fibers from the drop-down menu. If you select cotton we will send DMC cotton floss. For wool and silk we will send Planet Earth boutique fibers which are single-ply for 13 mesh and easy to stitch with. If you would like to mount your canvas onto stretcher bars to keep it taut while stitching (optional) we recommend a pair of 14" and a pair of 15"stretcher bars and thumb tacks.